We know any Duggar in a courtship needs to have a chaperone, but do they have to be in your pics too? 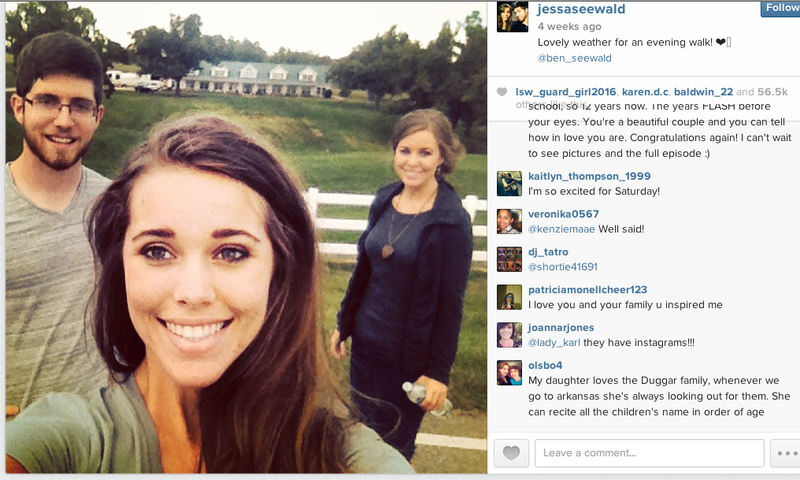 Here Jana Duggar gets in younger sister Jessa's pic with fiance Ben Seewald. Since Jessa and Ben are getting married tomorrow, we're guessing Jana's out of a gig for a while!